On an October night in 1899 the body of a well-regarded city councilman is found floating under a Halifax wharf. Detective Inspector Culligan Baxter embarks on an investigation that leads from the waterfront, through the city's streets, and out into the surrounding countryside. Aided by the young but surprisingly astute Kenny Squire and an odd assortment of barkeeps, petty thieves, and prostitutes, Baxter's sleuthing takes him into the station's back files and along a path of connections and corruption, linking some of the city's most prominent businessmen. 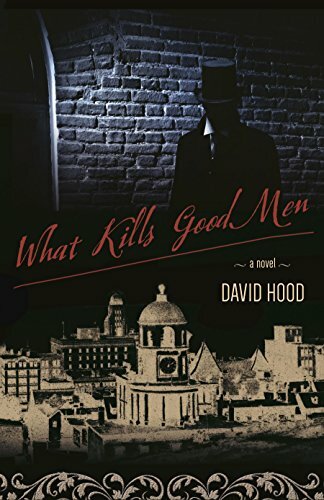 From the well-to-do parlours to the seedy taverns to the public spaces that still dominate the city's downtown today, author David Hood has created a vivid portrait of late-Victorian Halifax. With pointed observations on human behavior and on the changing character of his hometown, Detective Baxter conducts a sardonic inquiry into morality, justice, and the space in between.